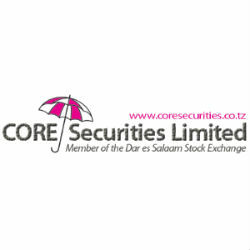 According to the Weekly Market Report of the trading week ended on 30th August 2013 issued by CORE Securities, a leading Tanzanian licensed stockbroker, the Dar Es Salaam Stock Exchange total turnover increased by 25% to 4,681.26 million from 3,747.93 million the previous week. Both local and foreign investors participated in the market. Foreign Investors participated by 5.42% while Local Investors by 94.58%. On Friday 16th August the Dar es Salaam All Share Index (ASI) closed at 1611.49 (+0.25%), the Tanzania Share Index (TSI) closed at 1962.67 (+0.88%), the Industrial and Allied Index (IA) closed at 2163.38 (+3.33 %) and the Bank Finance and Investment Index (BI) closed at 1941.43 (-2.80%) points. Most of activities were seen on TBL,TWIGA, NMB & CRDB counters. Last Treasury Bills auction was done on 28th August 2013 with a total of 161 successful bids. A Five year T-bond worth 6.32 billion was recorded in secondary market, no T-bond for 10, 7 and 2 years were recorded in secondary market. Both Net Asset Value schemes (NAV) and fund size were flat edging up in comparison to last week activities. Spot gold was up by +6.93% to 2.259 million per ounce (1 ounce = 31.10 grams) on Friday 30th August. The annual headline inflation for the month of June 2013 decreased to 7.6% from 8.3% as of May 2013. However inflation will decrease to a single digit in three month to come (IMF report).